This week we celebrate the death, burial and resurrection of Jesus Christ! As a Christian, I feel like we often forget the importance of holidays such as Christmas and Easter. It's so easy to take things for granted and forget the awe and wonder that come along with these miraculous events! Jesus Christ became sin for us. He died on the cross for our sins. He was buried. 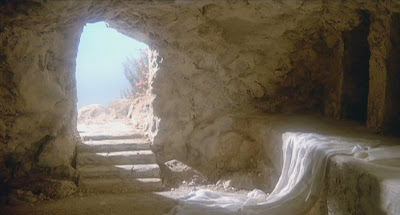 And then....He rose again! That doesn't just happen every day. His resurrection is a miracle that we should still celebrate with just as much awe and wonder as we did the first day we accepted Christ. If you're a Christian, you remember that day well. The day you admitted your sins and asked God to forgive you. Remember that automatic sense of awe, wonder, amazement that overcame you? Remember the burden that just lifted from your shoulders? It's good to stop and think about that once in awhile. Don't forget the awesome work Jesus did in your life. Instead, stop this week, and remember what He did for you. Remember how He washed away your sins and gave you eternal life! We serve an awesome God, and we need to act like it instead of acting like it was just no big deal.